I don’t, intentionally, do a lot of street shooting; preferring the quiet solitude and calming contemplation of landscape photography – but now and again, a subject or situation presents itself that is a gift for a photographer. 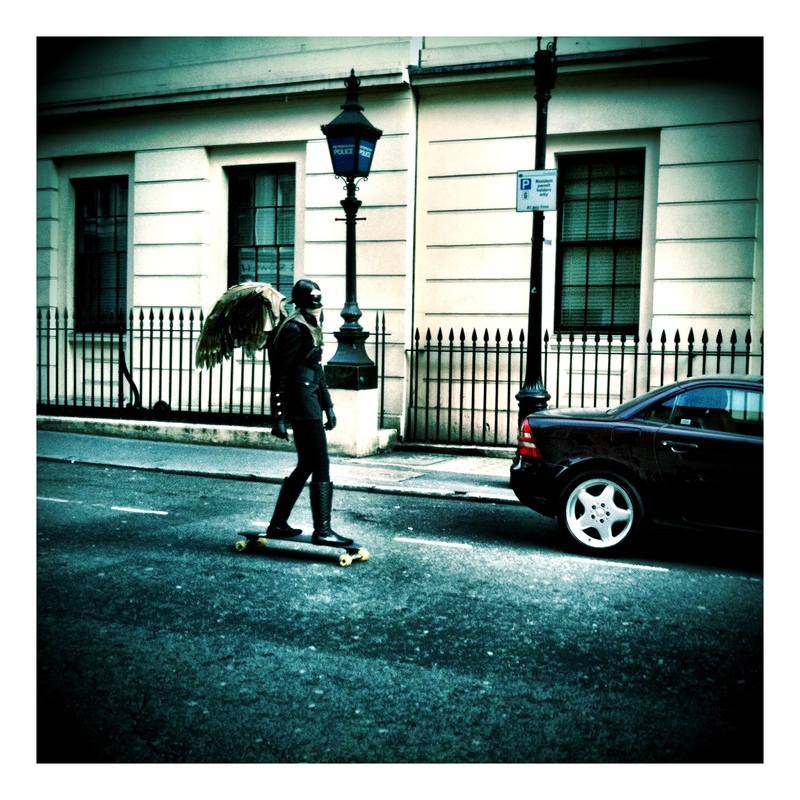 I was walking the streets of central London when this ‘Angel’ on a skateboard appeared out of nowhere. This wasn’t a commercial or film shoot in progress – she just skated by with a nonchalant air. Click. Hope you like the image I shot that day – and should you like one of the images enough to want a pristine print on your wall, please write to me at shonski50@me.com and we’ll chat about print sizes, prices and shipping arrangements. Thank you for your visit. Anybody Seen My Photographs Baby?